We spend most of our lives in buildings and almost every building is unique. 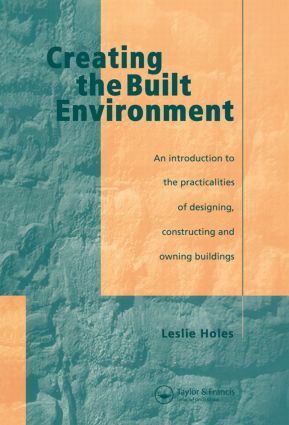 The purpose of this book is to explain what buildings are and to provide an integrated overview of how they are built and sustained. The book does not presume any specialist knowledge of buildings, seeking instead to explain why the different groups involved in designing, constructing, managing and occupying them follow certain procedures. It is particularly concerned with the generation and circulation of information between these groups. In taking this view, the book considers the recommendations of Sir Michael Latham's 1994 report Constructing the Team which called for better cohesion and communication between specialists in the construction industry.